Dedicated to crafting a full range of digital marketing solutions for businesses of different types, Inflexion Interactive crafts unique strategies for each individual enterprise. 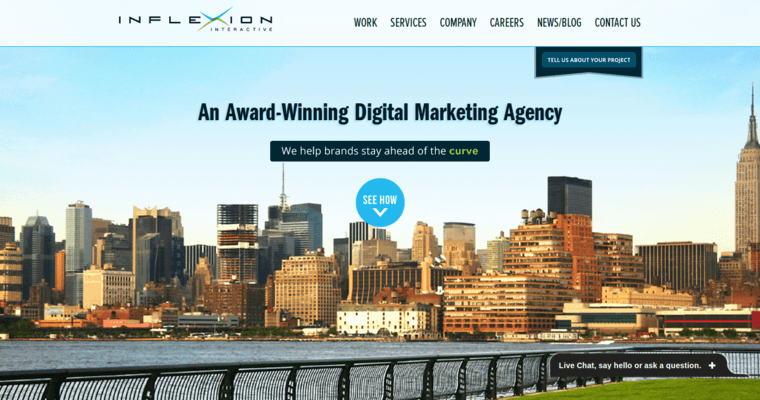 The marketing strategies offered by Inflexion Interactive include creative, effective and dynamic web design and development. When it comes to web design and development, Inflexion Interactive strives for solutions that can grow and adapt as a business evolves and changes. In addition to web design and development, Inflexion Interactive also provides its clients with all important research and analytics. In the end, a business truly cannot understand what type of digital marketing solution makes the most sense without research and analytics. 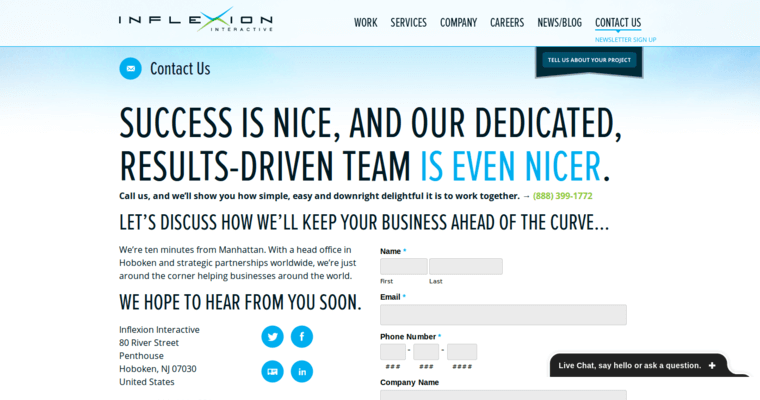 Inflexion Interactive takes a team approach when it comes to crafting effective marketing strategies. 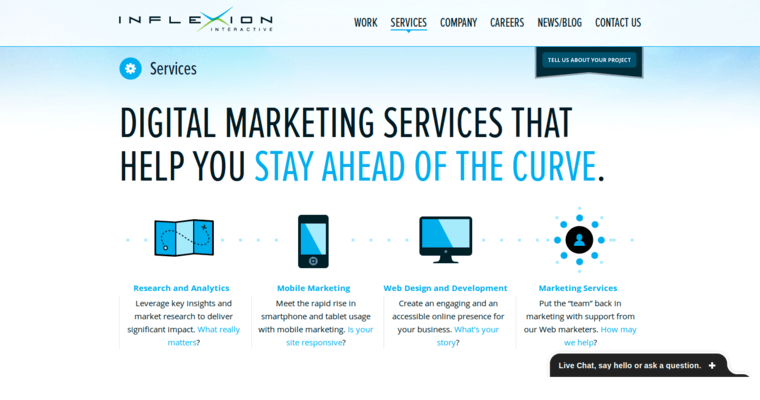 The team at Inflexion Interactive includes professionals who are well versed in different aspects of digital marketing. Inflexion Interactive also provides clients with mobile application design and implementation services. The firm is committed to ensuring that all digital marketing solutions are available to an individual client.